Do you want to know how to give up the expectation of perfection? 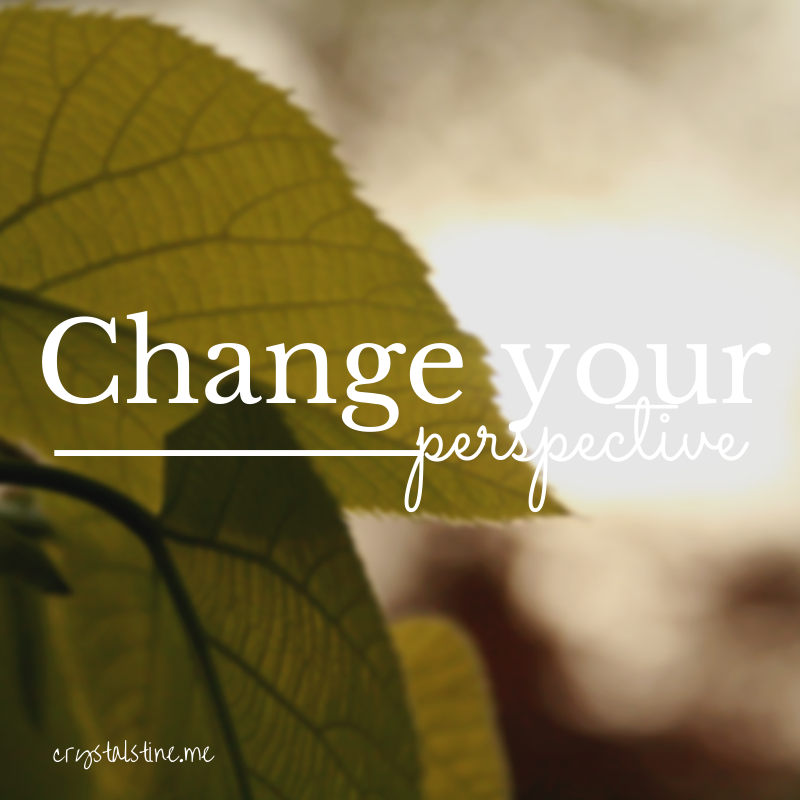 Change your perspective. When we start looking horizontally at the other women around us and stop looking vertically toward the only One who truly defines our identity, we start comparing. And when we start to compare, someone has to lose. Someone has to end up as less-than. But what if we settled into the truth that the God who created the universe is infinitely creative, and that He created each of us to serve His kingdom in our own strengths – where we are. Not where she is or how she’s doing it. But exactly where God has placed us – flaws and all. Because here’s the thing about the myth of perfection. Since my job requires me to work primarily online, no matter how authentically I try to portray my life, I still have women ask me “how to do you do it all?” All they see are little snippets of my life – edited photos and short status updates that suddenly become the whole of who I am. Isn’t it like that in real life, too? We see a woman who seems to have it all together – the perfect children, the perfect house, the perfect outfit and we feel even more imperfect as we focus horizontally and compare her story to ours. Nearly every insecurity in my own life has come from the belief that I need to be perfect and when I’m not, when I fall short or make a mistake or drop the spinning plate or miss a deadline or forget to send the sunscreen to daycare – I consider myself a failure. And when it works out and I’ve accomplished the “thing” in my own power, by my own will? Guess who gets the glory? I become so focused on what I can and can’t do that I forget that God has sent one – ONE – perfect human to walk this earth who deserves worship and praise. And it’s not me. I forget about grace, I miss the beautifully ordinary moments in the middle of the mundane, and I forget what the Gospel is truly about. The Gospel is about Hope. It’s about Life. It’s about looking beyond the tasks that we think we need to do perfectly to gain acceptance and realizing that we are perfectly loved and accepted by God – and His only command for us is to love. Salvation comes by grace through faith in Jesus Christ alone. There are no qualifiers. Scripture doesn’t say “love perfectly.” It doesn’t say “raise children perfectly.” It doesn’t say “live perfectly.” The Gospel doesn’t say the way to heaven is through perfectly folded laundry. The Gospel is about Jesus and when we look into ourselves and focus more on becoming a little more like Him each day, we can let go of the expectations of the world and find joy in who WE are – and celebrate the women around us for who THEY are in Christ. Love this, and as always it is right on time for when I need to hear it. Big struggle! Well said! How many women, I have to wonder, don’t connect because we try to seem like we have it all together while they think they do not? Velveteen Woman! Oh girl!!! AMEN!!! Love this so! #noonedoesitall hashtag of my day!